During Sale-A-Bration 2019 (Jan. 3 – March 31) you can get $50 more free product than usual!! The best deal you can get is to purchase the Starter Kit. You can choose $125 worth of anything out of the catalog for only $99! Receive Stampin’ Up!’s demonstrator magazine, Stampin’ Success. No penalty to drop. 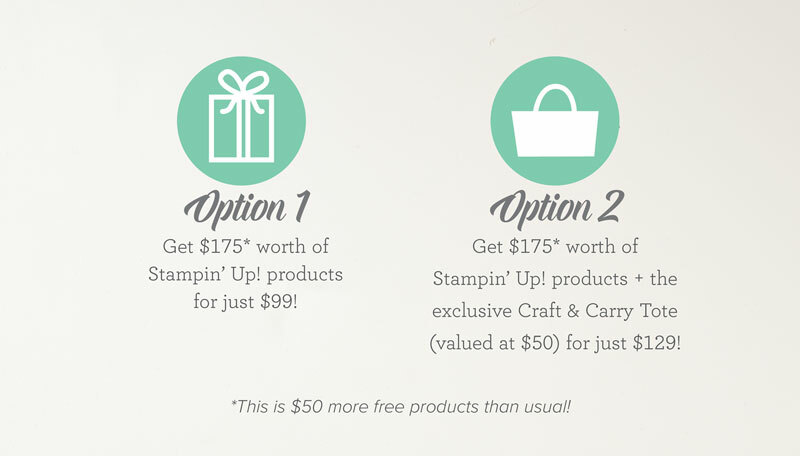 If you reach $300 in sales by the end of the first full Stampin’ Up quarter, you renew your demonstrator discounts and benefits for another quarter. If you don’t reach $300 in sales or purchases, you can “drop” with no penalty.